Avocado lovers, you're in luck. This week's meal plan has no shortage of this wonderful green fruit, so make sure to stock up on avocados at all stages of ripeness. Before you know it, you'll have made it to the weekend and there's a rich chocolate dessert with your name all over it. Happy cooking! Trying to find new and delicious ways to use up those fresh summer tomatoes? 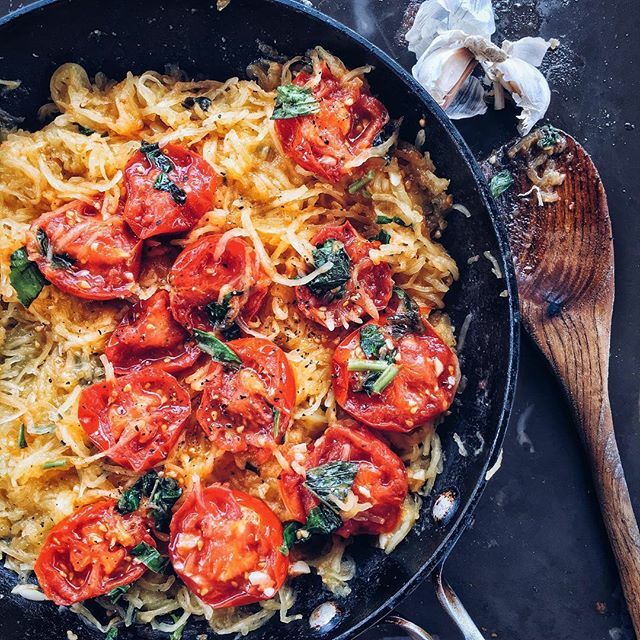 Turn them into a quick and easy sauce to spoon over luscious spaghetti squash noodles. Feedfeed Tip To cook the spaghetti squash, you can either halve the squash lengthwise, brush with olive oil, and bake cut-side down for 35-45 minutes, or you can use a fork to prick holes in the squash and microwave it for about 10 minutes (rotating once halfway through). 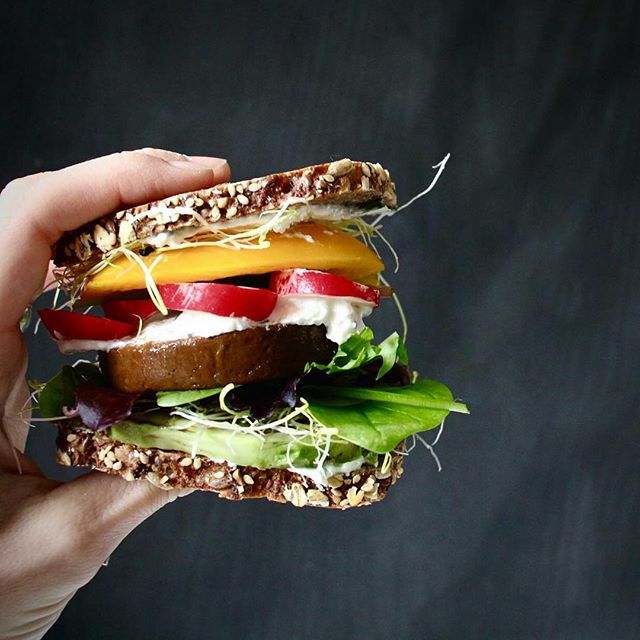 This avocado burger may seem unassuming, but don't be fooled. It's super easy to throw together at the last minute, and it's totally packed with flavor! Feedfeed Tip Don't have vegan cream cheese? Feel free to sub with cashew mayonnaise or hummus. Never underestimate the power of a baked spud! 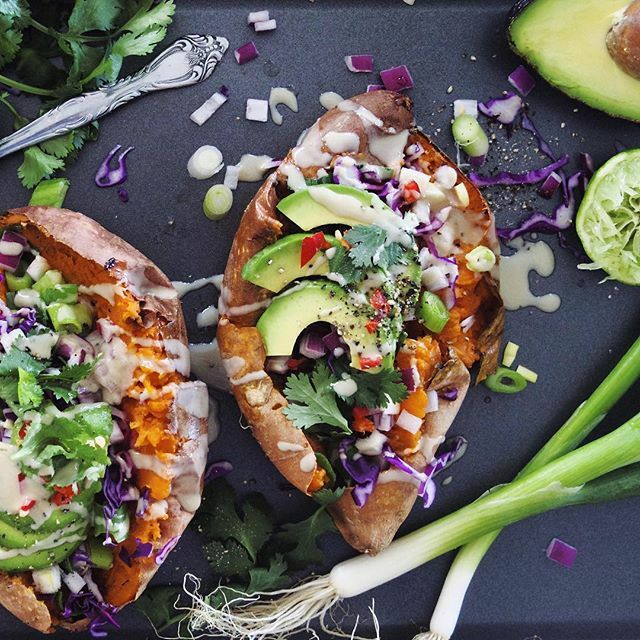 These stuffed sweet potatoes are the epitome of a satisfying weeknight dinner. Feedfeed Tip Want to save some time? Go ahead and pre-bake a bunch of potatoes at the beginning of the week, and keep them wrapped in tinfoil in your fridge. All you'll need to do is reheat them, stuff with desired toppings, and drizzle with sauce. 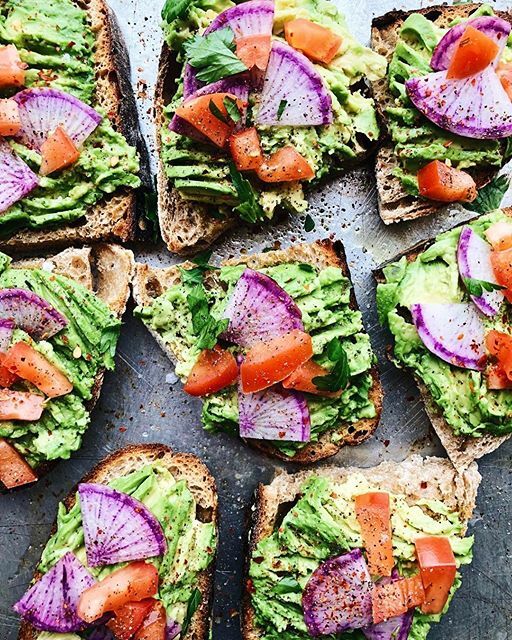 Anyone that tells you that avocado toast is too basic is someone that you don't need in your life. Ain't no shame in your simple dinner game! Feedfeed Tip Buying avocados for the week can be tricky. Try to buy a variety of ripe and underripe 'cados so that you'll always have a ripe one on deck. You're definitely going to want to bookmark this cashew cheese sauce. 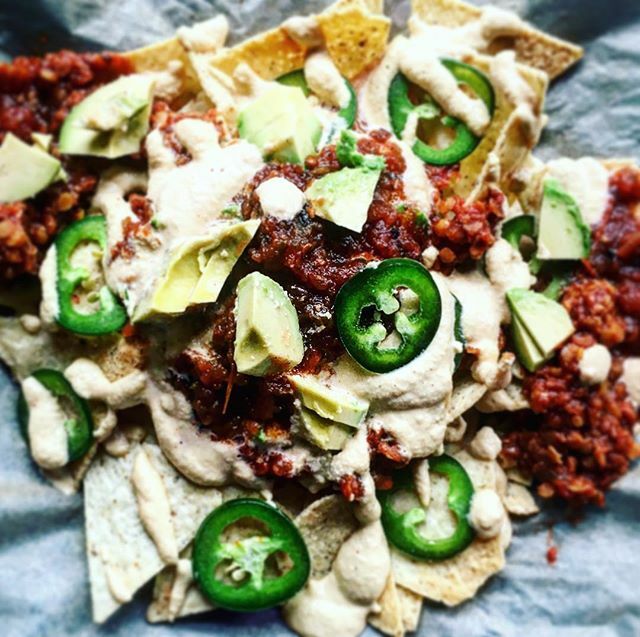 Great for nachos, this luscious vegan sauce is also great for pasta, tacos, or quesadillas. How perfect does this sandwich look? 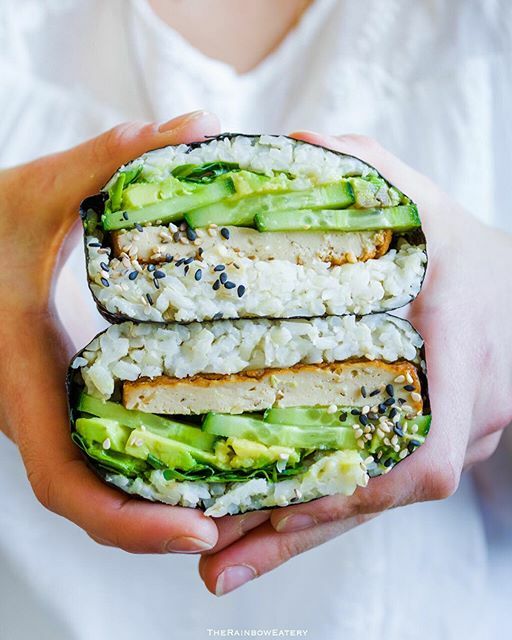 Wrapped inside a nori sheet, this tofu-avo-cucumber situation is the perfect way to finish out the week. 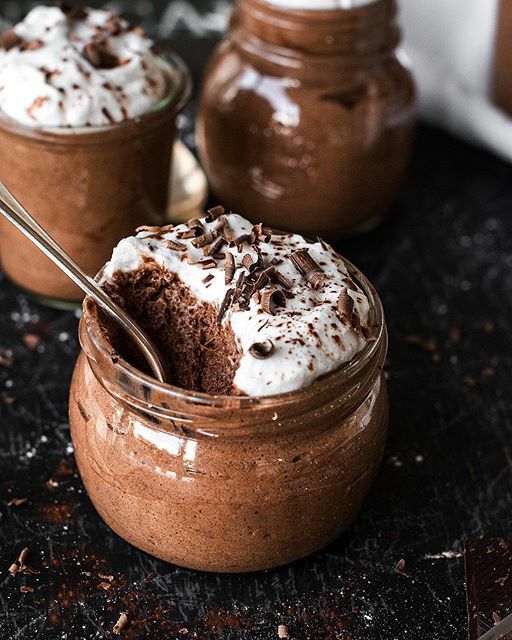 Stop pouring aquafaba (the liquid that's in a can of chickpeas) down the drain! It's great for whipping up light, delicious desserts.